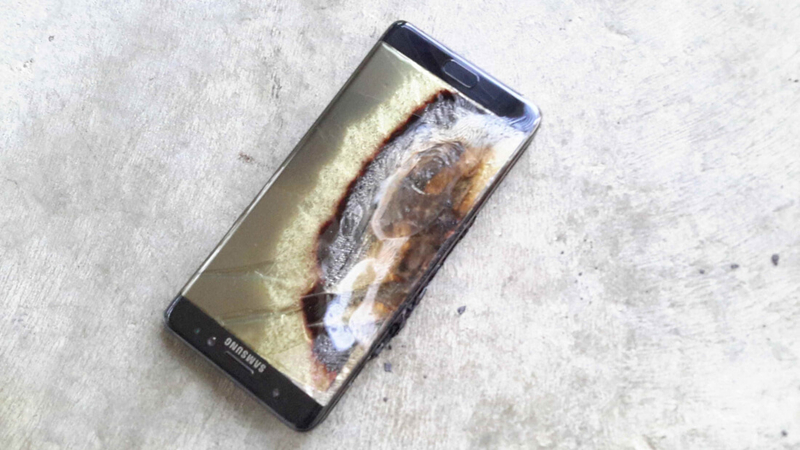 The Galaxy Note 7 saga appears to have reached its inevitable conclusion. After yesterday’s report that Samsung was “temporarily pausing” production of the smartphone while it investigated why replacement handsets were still catching fire, the company has now announced it has permanently stopped selling and manufacturing the device. "We recently readjusted the production volume for thorough investigation and quality control, but putting consumer safety as top priority, we have reached a final decision to halt production of Galaxy Note 7s," the company said. The news signals the death of the flagship smartphone that had initially received glowing reviews. Even if Samsung had managed to fix the overheating battery problem and offered to replace the replacements, you have to wonder how many consumers would trust using one of the handsets. Samsung has urged anyone who has a Note 7 to power it down and return the phone to wherever they purchased it, where they can exchange them for a different handset, either from Samsung or a different manufacturer. The fallout from the news is being felt everywhere. Facebook-owned Oculus has issued an update for its Galaxy-powered VR headset that removes support for the Note 7. The company is naturally worried about the dangers of having a potentially explosive device sat one inch from users’ eyes. As for Samsung, it’s predicted that the Note 7 debacle will cost it around 19 million lost unit sales, or around $17 billion dollars. The firm’s shares fell 8 percent today, the biggest daily percentage decline since 2008, wiping $18.8 billion off Samsung’s market value. Rubbing salt in the wound is the fact that Apple’s shares have increased 1.9 percent – the highest this year - on the back of its rival’s misfortunes. A company as large as Samsung, which has many different business units and products, won’t be brought to its knees by the Note 7 saga, but it will take a long time to recuperate and regain the public’s trust. With the Galaxy S8 reportedly set to be unveiled at next year’s MWC, we’ll find out then if the current fiasco has a long term effect on the popularity of Samsung’s smartphones.